With 10 days to go until Christmas Eve, it's time to get to wrapping gifts! I can't wait for this weekend, when I finally sit down and wrap all the gifts I've bought so far. Although I procrastinate more on shopping more as I get older, I still love actually wrapping gifts and putting them under the tree. As I remind y'all every year, standard wrapping paper is NOT recyclable. If it is shiny, waxy or glittery, it has other materials besides paper, and it goes into the trash and into the landfill. 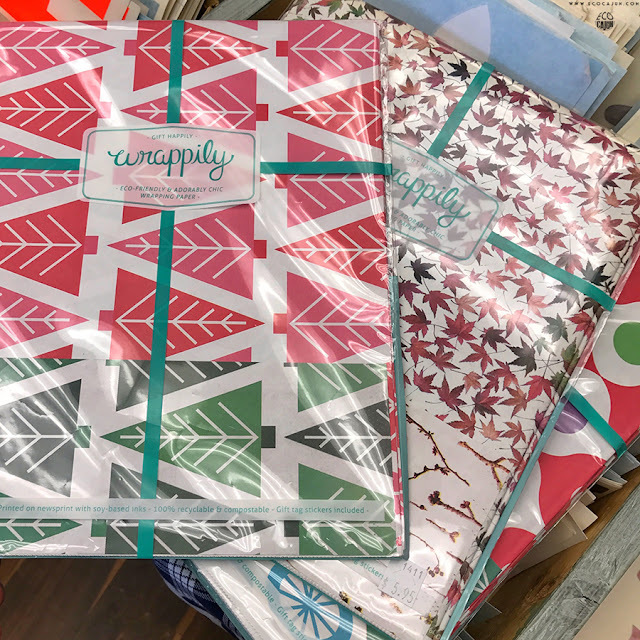 There are so many ways you can wrap gifts with recyclable or reusable options, and they are sometimes even more beautiful than conventional waxy gift wrap. 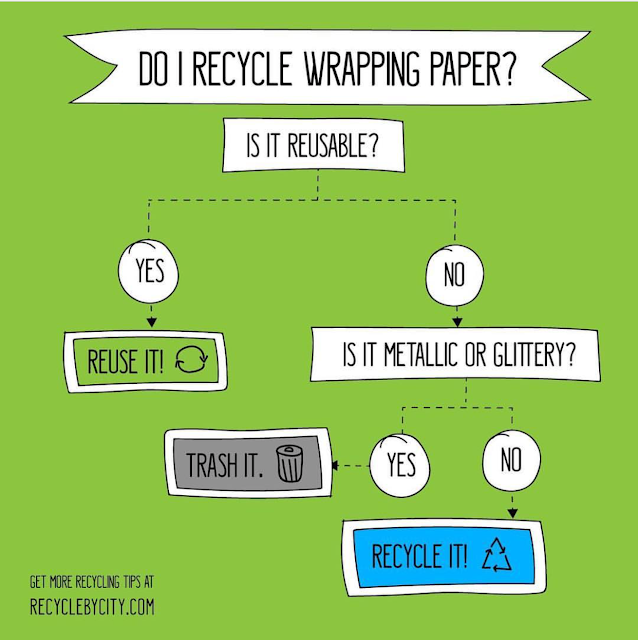 The best and easiest/most accessible option is to choose gift wrap made of recycled or recyclable paper. You know that ubiquitous brown kraft paper? 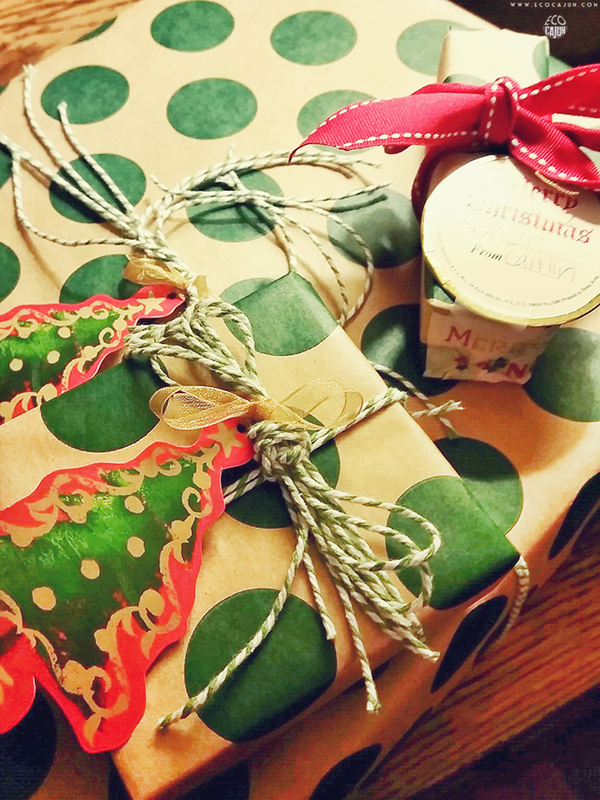 It works awesome as eco-friendly wrapping paper. You can find plain brown kraft paper and probably printed kraft paper at just about any craft or holiday store, or you can order online. I found two printed rolls at Hobby Lobby years ago, and a smaller roll from World Market. This past year, I even scored a large roll of plain brown kraft paper from an estate sale! Decorate plain kraft paper with markers, colored pencils, stickers or stamps. Although you might not have as plentiful a supply if you're in the younger generations, a great free gift wrap option is your regular newspaper! Spruce up a black, gray and white gift with a festive red ribbon, and you're in business. 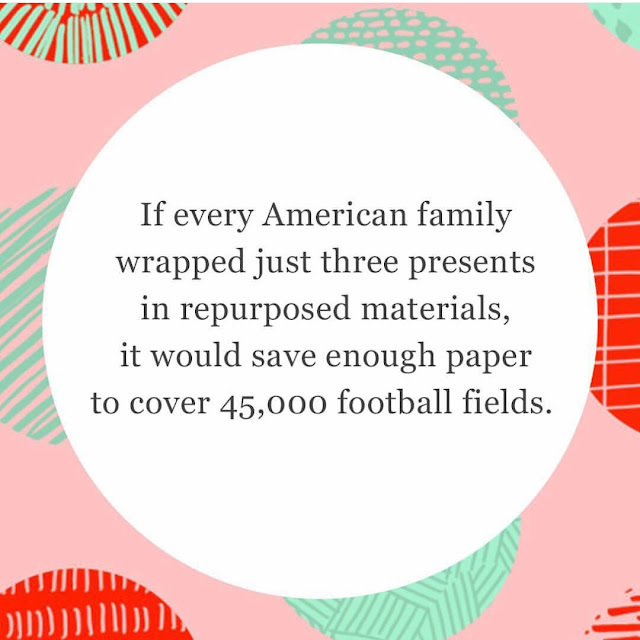 Wrappily is a small business that prints gift wrap for all holidays on compostable, recyclable paper with soy ink. I bought two packs last year while in Hawaii, and I'm so excited to finally use it this year! So maybe wrapping a gift isn't your style, or you're dealing with an oddly shaped item. Gift bags are great because they are inherently reusable. Save and store gift bags you receive, instead of throwing them away! You'll save money and when they're flattened and stored, they don't take up that much room. Keep them in a plastic storage container with a lid to keep them in good condition year after year. Skip the shiny and glittery bags and look for more natural designs. Who wants glitter all over their floor on Christmas morning anyway!? Many gift bags, both printed and solid, are also made of kraft paper, making them recyclable. Save brown paper handled shopping bags throughout the year and reuse them as gift bags. Purchase a cute cloth shopping bag along with your gift and use it as the gift bag. This is one of my favorite zero-waste ideas, because you get to give a little bonus gift, and give the recipient a bag they can reuse many times over. Go minimal: If you have nicer sturdy recyclable boxes, leave them unwrapped, and just wrap a fabric ribbon or affix a bow on top of the box. Some printed boxes don't even need wrapping paper, as they're pretty enough on their own! DON'T throw out your boxes once the gifts have been unwrapped! When you get gift boxes, flatten them to keep in storage. If you've ordered gifts online, save and reuse the shipping boxes. I have a personal list of things I absolutely hate to spend money on, and packages of tissue paper is on that list. Why spend money for paper that is only used to stuff a box or bag and that instantly gets thrown away? Save and reuse your tissue paper! Even if it's wrinkled or slightly torn, I can pretty much promise no one will notice or care. They're more interested in what's under the tissue paper. Collect tissue paper throughout the year. I keep a container dedicated to tissue paper, that I keep color coded for organization. Some of it comes from gifts we've received over the years, but most of it now is from a friend's baby shower a couple years ago. It was an awesome way to keep all of the tissue out of the trash, and saves me money on needing to stock up. Ribbons and bows are up there with tissue paper - don't rip them off of a gift and throw them away! Keep the good bows in a sturdy box or plastic storage container for use year after year. Use household items for ribbons and bows. Stretchy headbands can be a nice ribbon on a smaller gift for a girl or woman. I've seen neckties wrapped and tied around gifts, making a beautiful bow. Use more fabric-like ribbon instead of the shiny stuff. Twine and jute rope give a gift a great rustic, natural look. 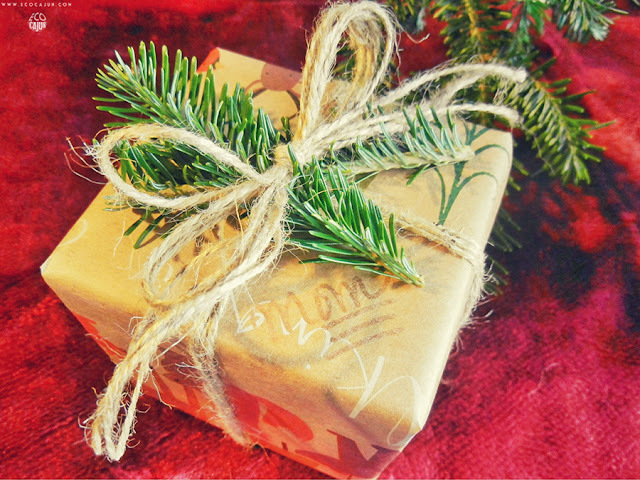 Skip gift tags altogether to save a little money and resources. Use metallic Sharpies or other decorative style pens to make it a little fancier. 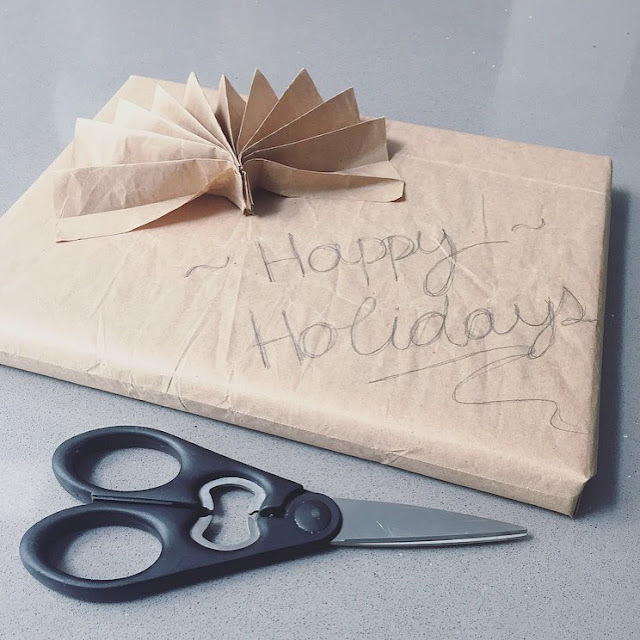 If you have a gift bag and don't want to write on it (which makes it a lot more reusable), use a scrap piece of wrapping paper to make a gift tag. It's the best way to use all those too-small scraps instead of throwing them away! You can hole punch it and string it through the handle, loop the paper and wrap it around the handle, or fold it in half and tape it directly to the bag. If you choose to buy gift tags, pick some that can stand up to being reused for a few years. This is the best option for your immediate family, as the tags really don't leave the house. After the first year, all you have to do is find a pre-labeled tag for your gift and you're done! My parents are the ones who taught me this one, as we've been reusing the same nice gift tags for at least 10 years now. When you're all gathered 'round to open presents, don't just grab a trash bag to throw everything into. Grab a separate bag for recyclables, or better yet, use a spare cardboard box to collect anything that can be recycled or reused, from bows to gift tags and bags. The more you can save to reuse, the less waste you'll send to the curb and the more money you'll save next year! Choose recyclable wrapping paper, ideally kraft paper. Use fabric or other zero-waste options for paper alternatives. Regular shiny, waxy paper is NOT recyclable. Skip wrapping gift boxes to conserve paper. Reuse tissue paper, ribbons and gift wrap. Make your own gift tags with scrap paper, buy reusable tags, or skip gift tags altogether. Make it easy at present time by designating one spot for trash and another spot for recycling/reuse collection. Leave a Comment holidays, recycling, reducing, reusing, what's the alternative to? 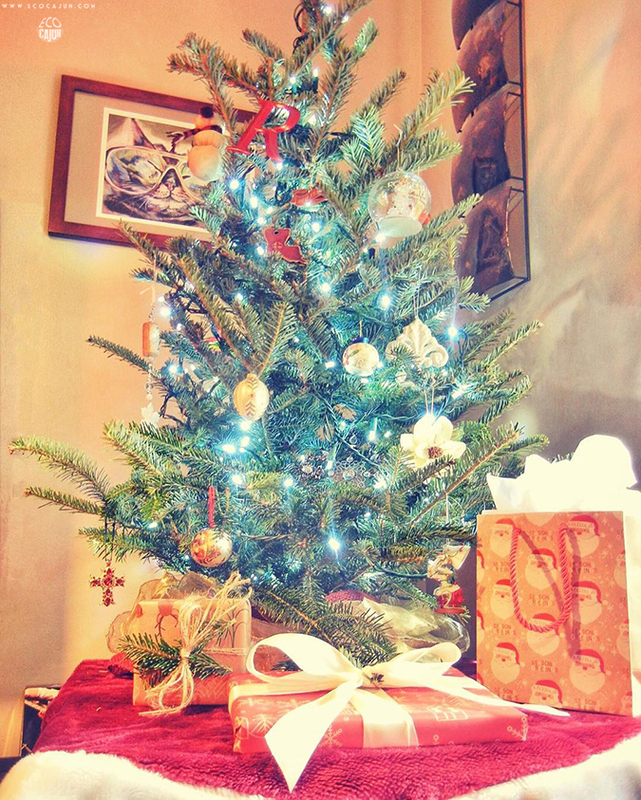 Photo Friday | Merry Christmas!